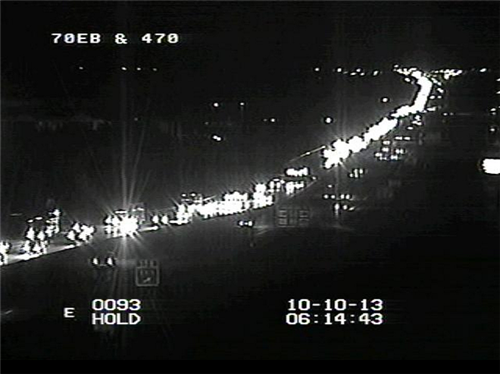 Take a look at I-70 at I-470. Can you tell which lanes are headed westbound, toward downtown? Looking ahead to next week -- Thursday, Oct. 17, the NB/SB right lanes of Quivira Rd. from 109th St. to 105th St. will close 'til November. Admiral Blvd Bridge over I-29/Route 71 in NE corner of DT Loop CLOSED Oct. 14, for 7 weeks to replace bridge deck.